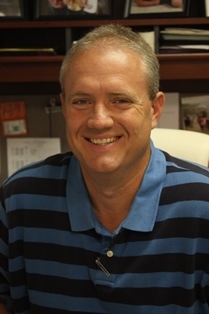 Tommy Morrison is the campus director at Cherokee Home for Children. His duties include ensuring that all facilities meet state standards, as well as supervising and aiding housedads to keep the campus maintained. He also plays a major role in making sure the annual events held at Cherokee Home are carried out properly—Cherokee Day and Cherokee Home Auction. Tommy and his wife, Kaci, who is currently the Assistant to the Executive Director, have worked with Cherokee Home in various positions since 1998. They began their work as houseparents before Tommy became the campus director. Their two daughters, Talli and Tori, have also played important roles at Cherokee Home as Talli has lived here since she was 1 ½ years old, and Tori has lived at Cherokee Home all her life. Tommy and Kaci are also in the process of adopting a son, Kaden. Tommy feels blessed to work for Cherokee Home. Not only can he play a role in the lives of many children, he also has the opportunity to be a very active part of his own daughters’ lives since his work and home life are so entertwined.